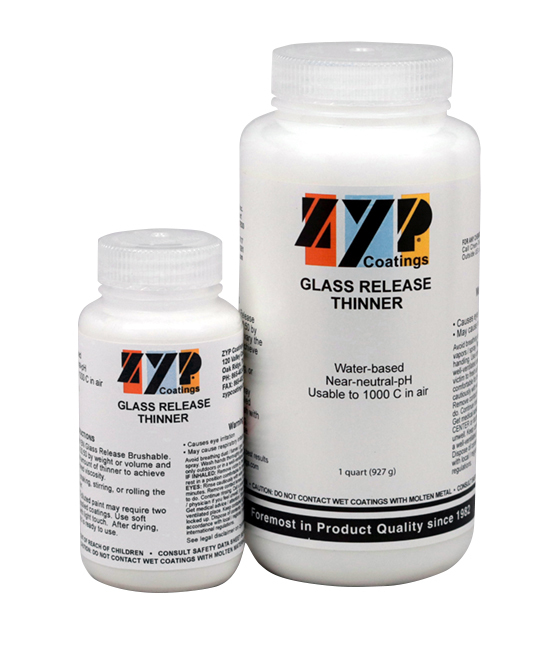 Glass Release Thinner - ZYP Coatings Inc.
Glass Release Thinner utilizes the same water-based suspension binder liquids as used with Glass Release Brushable. If you desire to dilute the Glass Release Brushable for getting thinner dried coatings or for improved brushing, it is best to use this special Glass Release Thinner than to just thin with water, since the Thinner will allow better bond-down to the substrate after thinning. The thinner is nonhazardous and has a long shelf life.